Hello there! 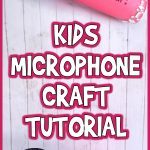 Recently one of my daughters was studying sound in her kindergarten class, and they needed to create their own musical instrument out of household items. 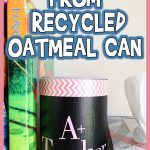 We did some thinking and digging through my drawers of random craft supplies, and came up with this Oatmeal Can Drums Project! 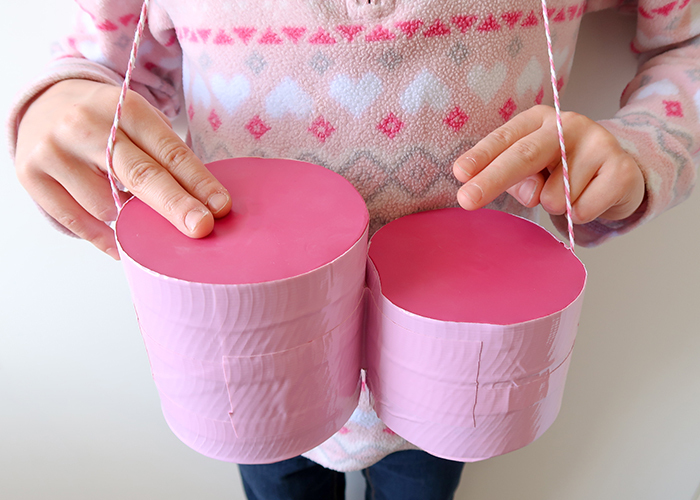 You only need a few things to make these, and they’re a great way to teach about how percussion sounds are created. 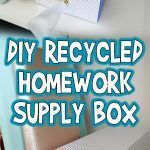 Here’s what you’ll need to make your own! 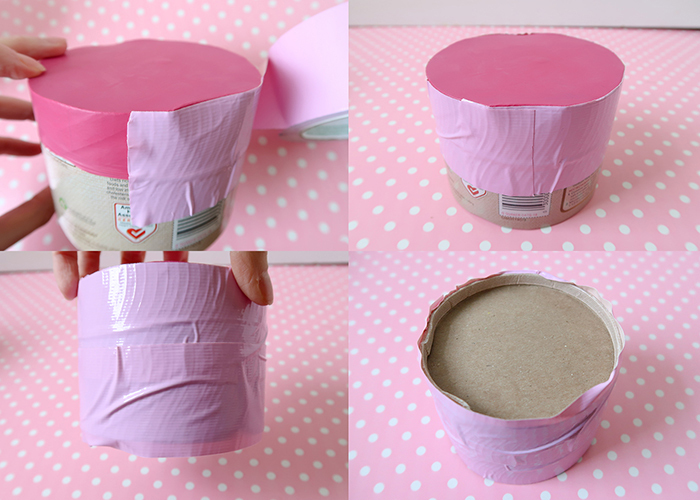 Empty oatmeal can (keep the lid on). Utility knife. 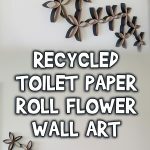 You can also use scissors, but a utility knife is more efficient if you have one. Start by cutting your oatmeal can in half. We cut ours so that one half was larger and one was smaller, to show how different sized drums will make different tones. Set them down with the cut side facing up. Now take your balloons. Cut off the necks of both balloons. It should look like this. 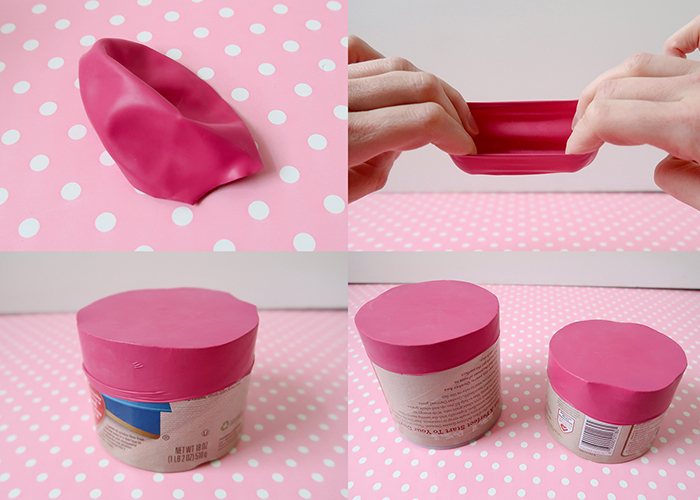 Now take your time and stretch out the opening of the balloon like shown. Taking a minute to do this makes the next step much, much easier. 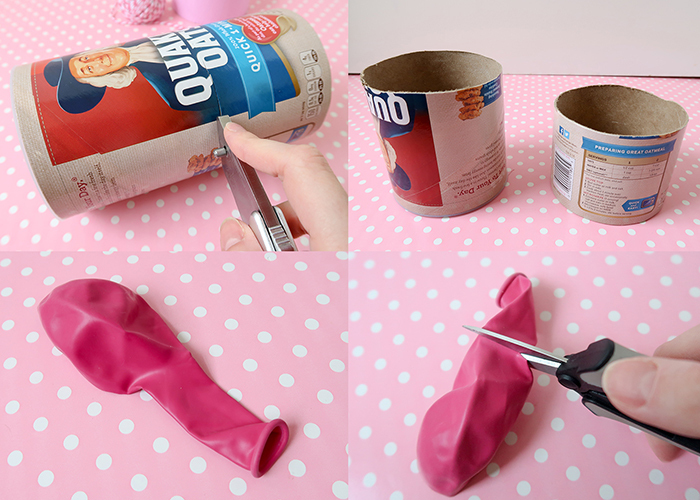 Then stretch your balloon over the opening of both drums. You want it nice and tight, so make sure it’s smooth across the top. This might take a try or two, so don’t get frustrated. 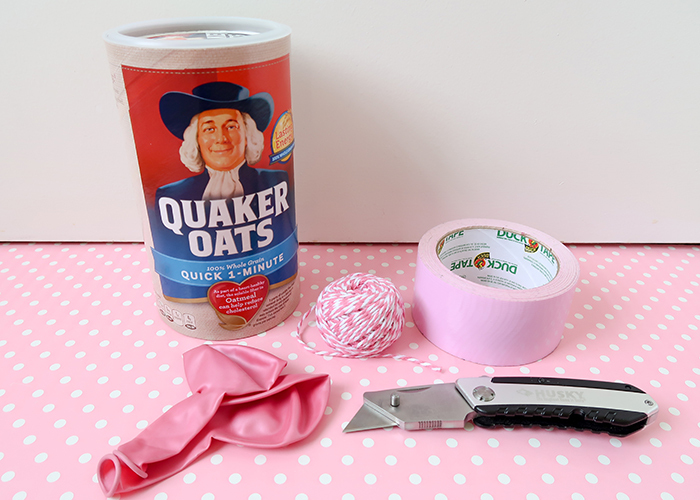 Your oatmeal can may also bend in slightly at the edges, but this won’t effect the final project. Now grab your duct tape. 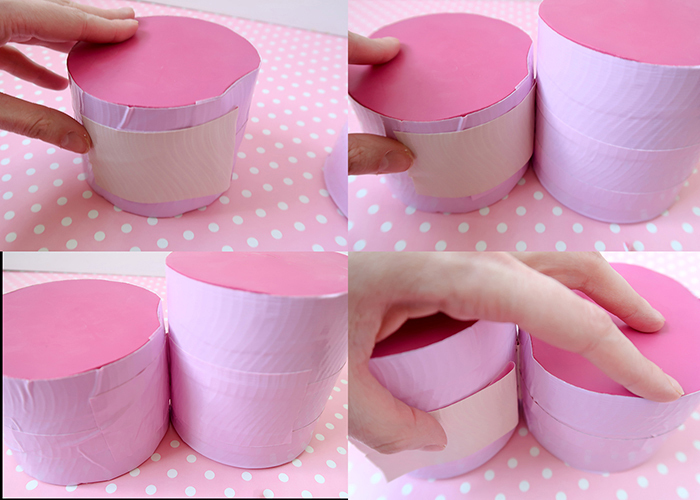 Start wrapping it around the top of the drum like shown, and add extra strips around it until there is overlap on the bottom of the can. 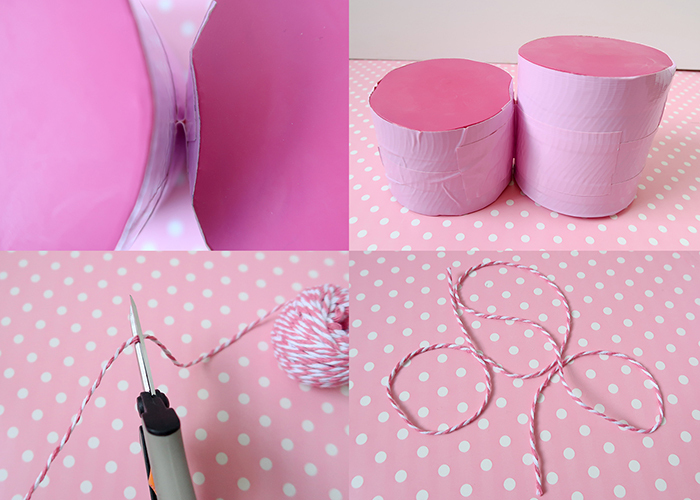 Use your thumb to bend the overlapped tape around the bottom of the can for a finished look. Do this to both drums. Your basic drums are done! Now here’s the optional part. My daughter was going to be using her drums in a class music parade. So I wanted them attached to each other like bongos, and to have a neck strap so she could walk and drum. To attach the two drums I took about a 6 inch long piece of duct tape, and placed half of it on one drum like shown above. Then I folded it back on itself, and pressed the other drum against the tape on the fold line. Then I smoothed the tape onto the second drum. 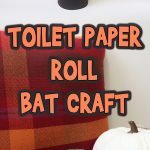 I did the same thing on the opposite side, making sure that the two strips of tape touched in the middle. It should look like this when looking down at the top of the drums. Next we’re going to take our twine and cut off a long enough section to land right about where your child’s elbows bend when it’s draped behind their neck. 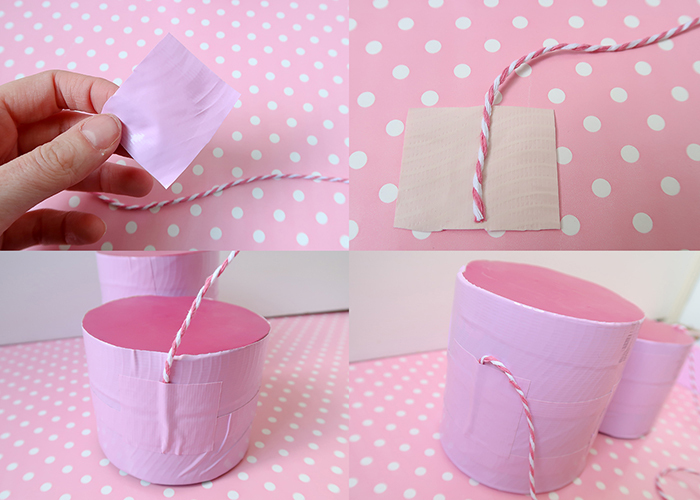 Cut a square of duct tape, and place on end of the twine on it. 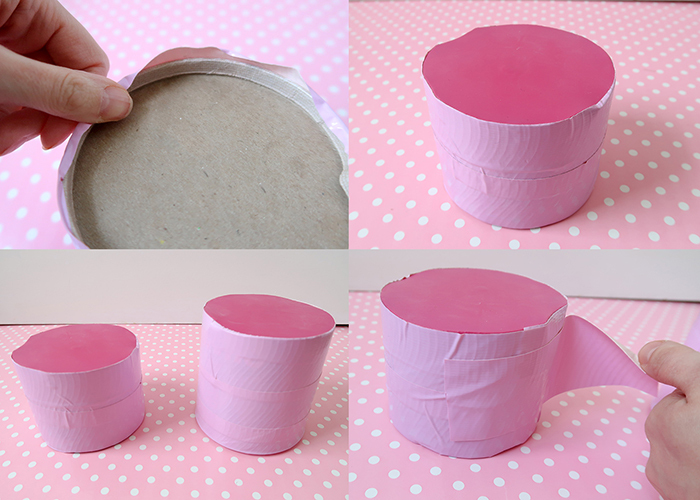 Then tape it to one side of the drum like shown. Do the same thing for the other side. 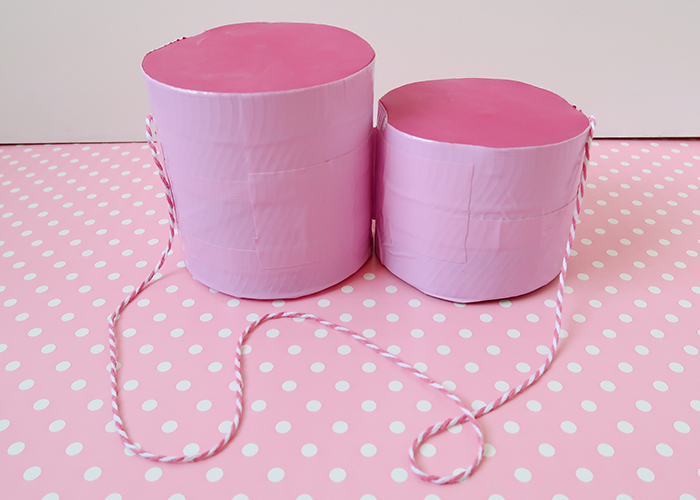 This makes the perfect sized drums for little kids, and it’s such a fun project to do with them. 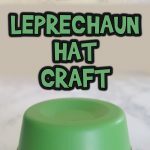 They can drum with their fingers, or use a variety of tools like straws or markers to see how different objects make the drum create different sounds. 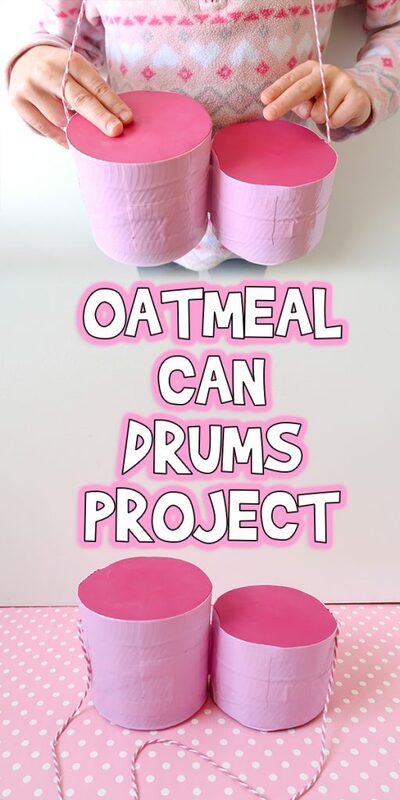 I hope you had fun learning how to make this Oatmeal Can Drums Project with me!